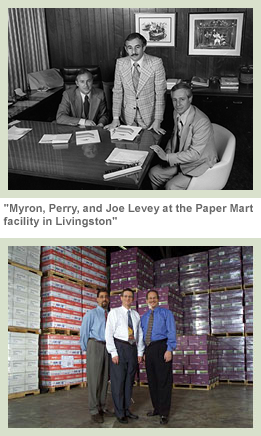 Since 1940, thousands of customers nationwide have trusted Paper Mart to deliver superior products with exemplary support, service, and responsiveness. We offer one of the most comprehensive inventories available today, combined with unmatched expertise in paper and envelope selection and usage. At Paper Mart, there is no such thing as voicemail. We guarantee that each customer receives responsive, personalized service from a live expert Monday through Friday from 8:00am to 6:30pm EST. Each customer request is handled with urgency, care, and precision. The Paper Mart order desk is open until 6:30pm EST for next-day delivery and provides guaranteed turn-around for print requests. Our word is our guarantee.